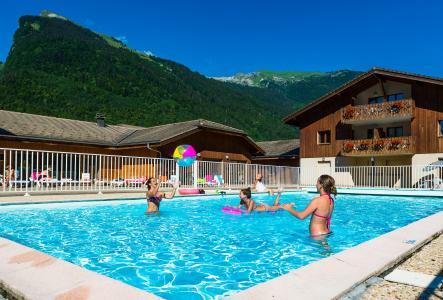 For successful summer holidays in the mountains, book your accommodation to La Clusaz in Northern Alps massive, Haute Savoie. This mountain resort will offer you exceptionnal areas and surprising landscapes. Your summer accommodation to La Clusaz will be for you a moment of wellness in the heart of a beautiful nature and you will spend holidays in wide open spaces. Our moutain offers will make you live warm emotions with all your family. We propose you quality holidays accommodation in all French massives, in the heart of mountains. 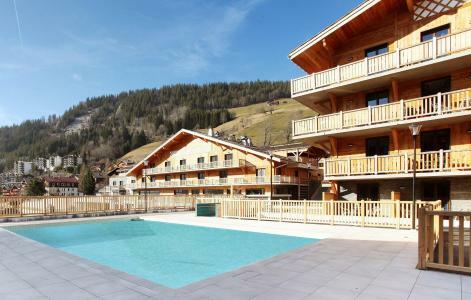 We have many residences to rent for your summer to La Clusaz. Let yourself be carried by a feeling of happiness, enjoy the summer holidays in the mountains full of sun and discoveries ! The Hotel Le Chamois**** is located in the resort of La Clusaz, familial village of Haute-Savoie. It is South facing, with a wonderful view over the Massif des Aravis. Its 39 bedrooms are comfy and warm, with balcony or terrace. 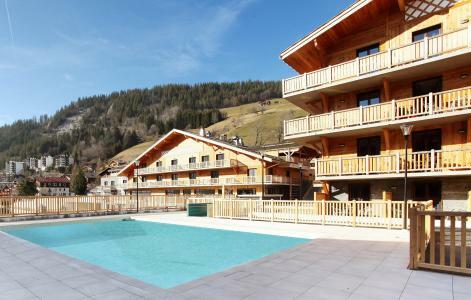 Heart of the village is at 5 minutes by walk from the hotel, you will find main shops ans amenities of La Clusaz. At the heart of an exceptional and protected site in Haute-Savoie, this complex prestige Mendi Alde consists of 178 accommodations. The residence is at 5 minutes from the village of Clusaz and proposes high quality services. The site benefits from traditional architecture of chalets, with balconies and terraces. The south exposure allows a maximal period of sunshine, and a magnificent view over the Massif of Aravis. Immediate closeness of the conveniences. The Hôtel & Spa Au Cœur du Village, recently awarded of a 5-star rating, is located in the La Clusaz village in the Annecy-Genève-Chamonix triangle. The refined style and high-end accents making up the contemporary decor and hushed environment of this luxury showcase will take your breath away. You can lounge in the salon cheminée, or even be pampered with Cinq Mondes rituals at the Cristal Spa at any time of day, to your heart’s delight. The chef’s two menus—epicurean and snack—will satisfy your culinary expectations throughout your stay. It is within this chic yet cosy ambience that the Hôtel & Spa Au Coeur du Village***** will help you appreciate tranquillity, comfort and intimacy, making for unforgettable moments that combine nature, relaxation and wellness. The Residence Le Pré du Lac*** is located at St Jorioz, at 10km from the heart of the old town of Annecy, and at 2km from the center of St Jorioz. The resort of Le Grand Bornand is situated at 44km, that means 1h by car. You will stay in spacious and well agenced bedrooms. You will access to the wellness area: jacuzzi, sauna, hammam and leasure pool area (on extras fees), and of the outdoor swimming pool. You can enjoy the wonderful landscape of the Annecy Lake, first beaches are at 800m from the residence. The residence will propose you a Full Board basis, you will take advantage on morning, lunch and evening! Children (3yo minimum) can be looked after daily. The Residence Le Pavillon des Fleurs** is located at Menthon Saint Bernard at 1km from the center of the city and first shops. 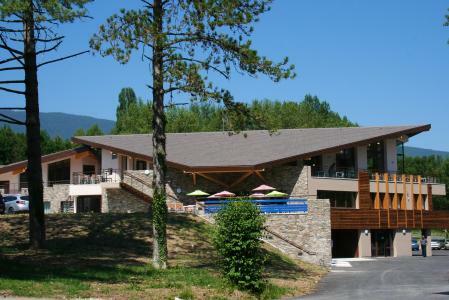 It has a privileged location with a huge view over the Annecy Lake and surrounding mountains. The resort of Le Grand Bornand is at 25km. The residence will propose you a Full Board basis, you will take advantage on morning, lunch and evening! Children (3 to 7yo) can be looked after daily. 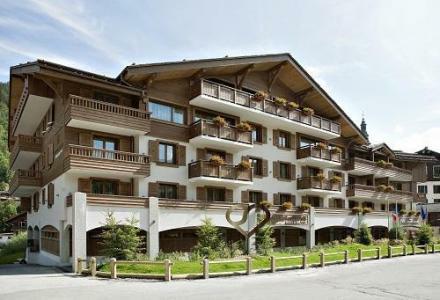 Le Plein Soleil is a residence without a lift, located 500 meters away from St Gervais town center.